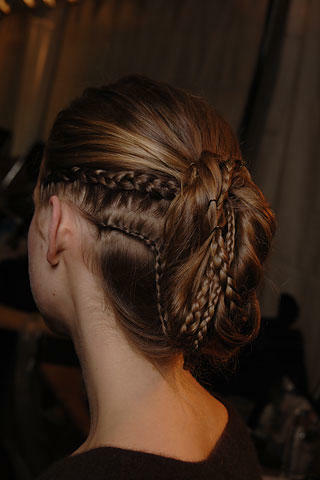 I thought Olivier Theyskens's s/s 2006 collection for Rochas was breathtaking. 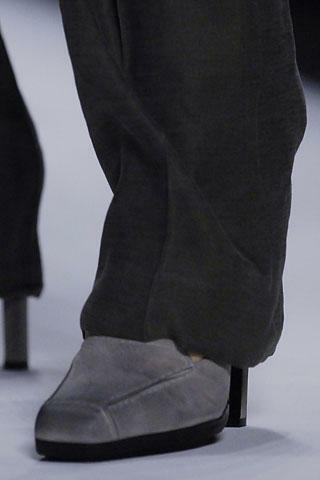 His designs shone with a kind of subtle and ethereal elegance. The models floating along the runway with long, trailing skirts reminded me of water lilies- probably because Theyskens's used Claude Monet's garden paintings as inspiration for the collection. Theyskens's interest in Camille Claudel, the 19th century sculptor, was also evident in the belle epoque silhouette of the skirts and gowns. I loved that he included pant-suits on the runway because they brought a touch of masculinity (and wearability!) to the ultra feminine collection. A woman could actually wear a combination of the Rochas blouses, pants and blazers, to work every day, whereas the long skirts and gowns call for a formal occasion. And let's not forget the violin cases. 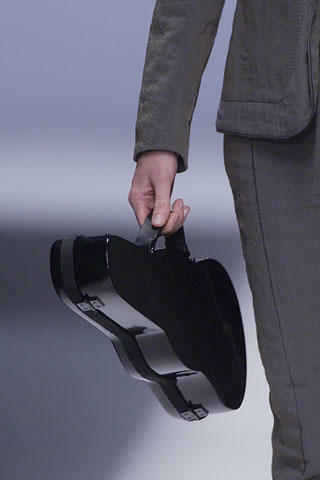 Some of the models were carrying miniature, lacquered violin cases as purses- you can't get classier than that! Even the the hair and makeup radiated with ethereal, innocent glamour. The makeup was natural, and highlighted the eyes, while hair was either long and flowing with a braided crown, or loosely upswept, with a few little braids looped and and casually pinned. and then the rug ripped out from under him by proctor & gamble... such an incredible shame. really interesting article about it in last sunday's new york times magazine. apparently if you're not interested in marketing a perfume, like EVERY OTHER DESIGNER EVER, then you're not allowed to continue creating such gorgeous, stand-out pieces.